In the good old British summer we can often experience all types of weather within a short period, I’m not complaining though, just think how dull it would be if we had 3 months of sunshine, whatever would we talk about? The downside to this is that we have to be prepared for every eventuality, as if packing to go to out for the day or even a quick trip to the park wasn’t enough of a military operation when you have children. I’m pretty sure I spend more time packing the change bag and filling the pushchair with all the relevant paraphernalia than actually playing in the park. 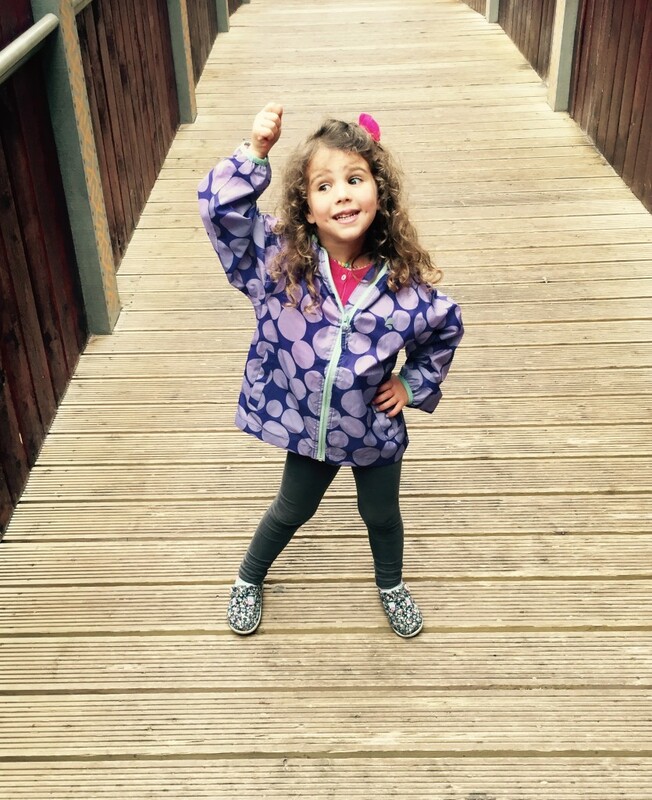 Cue Muddy Puddles’ packable Puddle Pac-a-Mac, try saying that after a few glasses of prosecco. 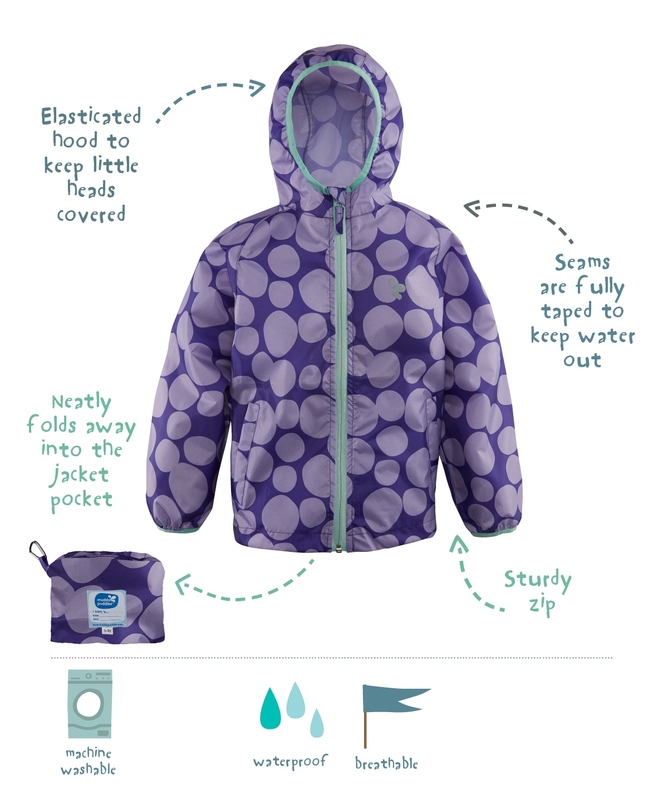 Keep it neatly in your bag (or your little one’s!) throughout the summer so you’re prepared for those unexpected scattered showers. 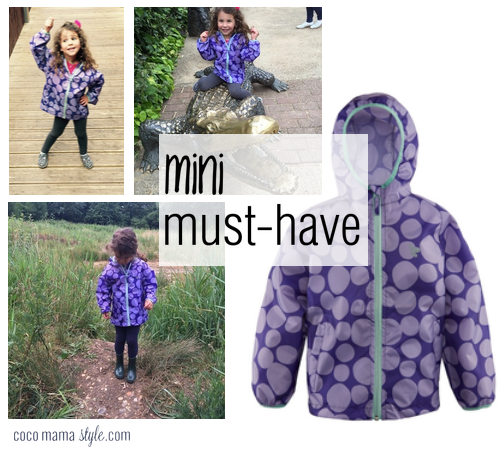 We took this lightweight waterproof children’s coat on a (rainy) day trip to the zoo for a test drive and both myself and Coco Lily were very impressed. It kept her nice and dry but didn’t add extra bulk and weight so there was no overheating going on and it packs so small you don’t even notice it in your bag. 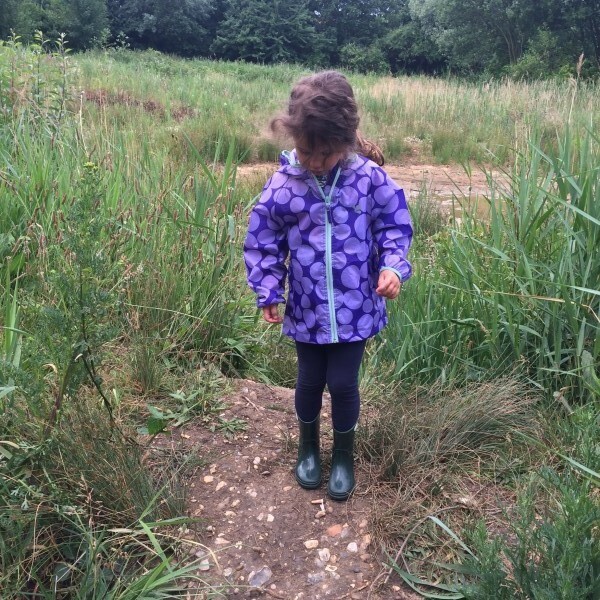 One of the best things in my 4 year old tester’s eyes (after that fact that it was bright and spotty) was that the hood stays on well – I’m never sure who gets more frustrated with hoods blowing off, her or me! We went for age 5-6 so it would last and also work with layers underneath as the weather cools down later in the year. It’s the pose du jour, dontcha know. 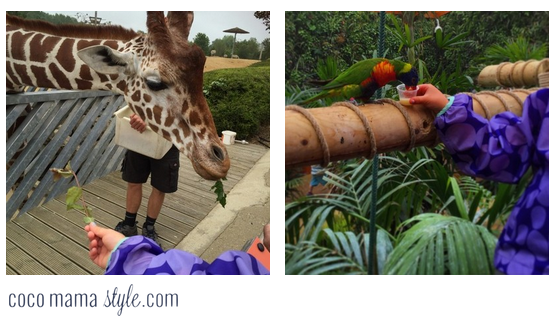 And in the humidity of the tropical enclosures I had serious hair envy. 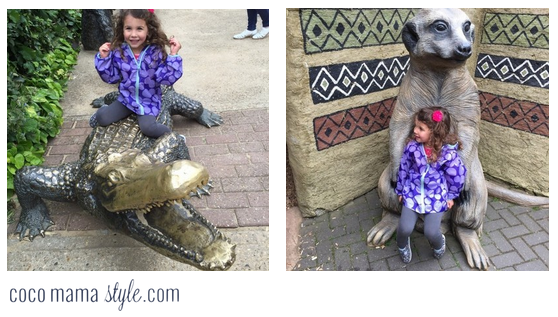 Who needs real animals when you can sit on pretend ones? 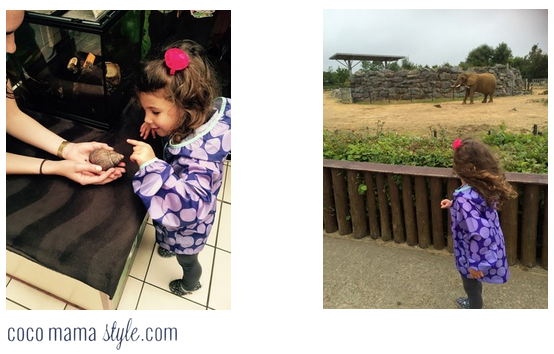 Meeting the snails (a long-time favourite) to seeing an elephant for the first time. So it’s full marks from us for this fun, printed and practical pac-a-mac. 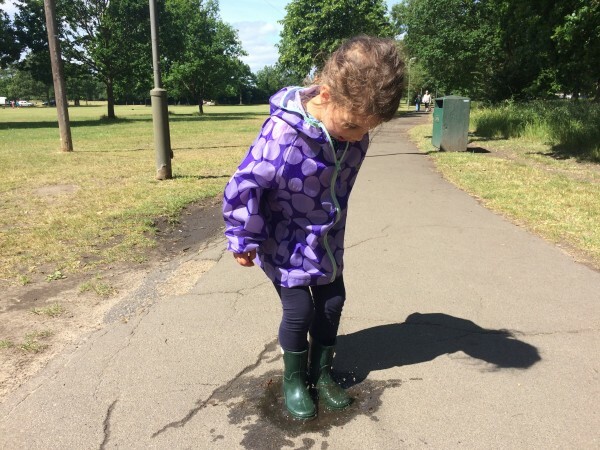 Now, Muddy Puddles, can you do one in my size too? 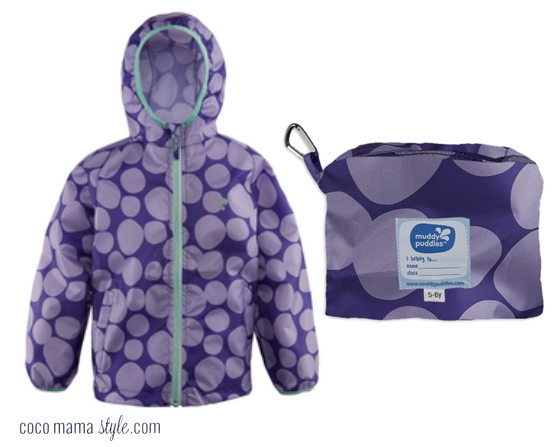 Thank you to Muddy Puddles for inviting us to choose a Pac-A-Mac to test out. I’ve been looking for a new raincoat as my daughter’s almost out if hers but it’s the wrong time of year (as if it didn’t rain in summer!) so a lightweight packaway version seems perfect.